This signature piece will turn heads. It lays beautifully draping the neckline. It appears that it is two necklaces , however, it is actually one! 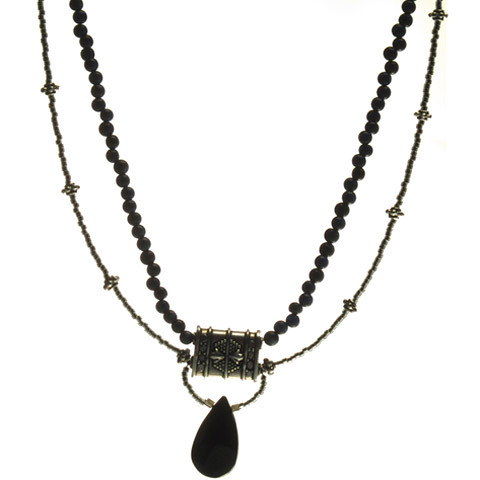 The black and silver cats eye beads reflect the light creating a shimmer that compliment the Bali silver centerpiece and toggle clasp.